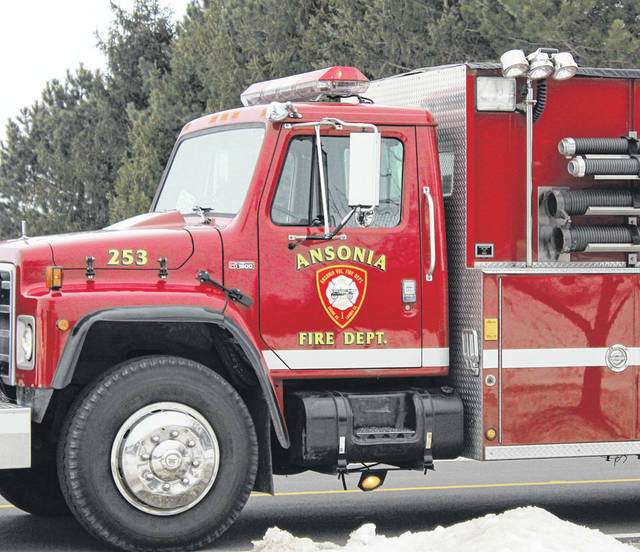 Ansonia Fire Department is one of 13 county fire departments that will benefit from a state grant for improving communications. DARKE COUNTY — Thirteen Darke County fire departments are the beneficiaries of grants from the Ohio State Fire Marshal’s Office to improve agency-to-agency communications. State Fire Marshal Jeff A. Hussey announced the fiscal year 2019 awardees for the MARCS (Multi-Agency Radio Communications Systems) grant, which includes 242 fire departments in 40 counties throughout Ohio. The MARCS radio system allows first responders to seamlessly communicate, not only with each other but with other agencies responding to an incident. For example, communicating with fire departments from neighboring areas, law enforcement and so forth. MARCS radios are sophisticated systems, and the cost can be significant. The grant helps to offset the cost of the radio equipment and user fees, making the radios possible for local fire departments, regardless of their size or budget. This year, the State Fire Marshal’s office received more than $12 million in requests for the $3 million in available funding. Priority funding went to departments that applied as part of a regional or county-wide effort and departments that showed they are prepared to immediately begin using the MARCS radios upon award receipt. This entry was tagged Ansonia Fire Department, Arcanum Fire Department, Fire department, Gettysburg Rural Fire Department, Greenville Fire Department, Greenville Township Fire Department, Hollansburg Fire Department, Liberty Township Volunteer Fire Department, MARCS, North Star Comm Fire Department, Ohio State Fire Marshal’s Office, Osgood Community Volunteer Fire Department, Pitsburg Fire Department, Rossburg Fire Department, Union City Fire Department, Versailles Fire Department. Bookmark the permalink.